Iowa Birth Activists: If not me, then who? If not now, then when? There is a gap between evidence and practice in this country when it comes to how we perform birth. Through both research and experience I have come to understand this as truth. As a result of this gap negative outcomes are occurring for families. I define this situation as oppressive, unjust, and unnecessary. I am upset by this, I am hurt by this, I am saddened by this, I am moved to action by this. My awareness of the truth about this injustice puts me, personally, in a predicament. My heart cries out that I DO something. Someone must stop this. But me? Who am I? How can I possible change something so big? How to solve this internal conundrum? Here's the conclusion I came to: If not me, then who? If not now, then when? Sure, it's been said before, in many different ways, and it is as true now as when first spoken. I have a choice: I can continue to talk about the problem, define it, and discuss various ways could or should be solved or I can do something. I can do lots of somethings. I can act. I am choosing action, in whatever form it takes. For some people action means marching and rallying, for some it is writing, doing research, and teaching, for others the act is actually doing nothing (like refusing to move off your bus seat). What I'm trying to say is that activism takes many forms. It is all kinds of people doing all kinds of things in all kinds of different ways. 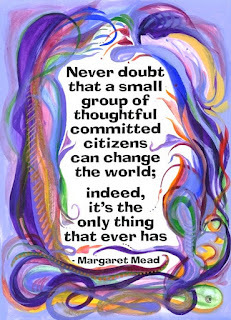 What makes a social movement successful is the unity and commitment of all those people to the same purpose. I have co-founded Iowa Birth Activists for the purpose of telling the truth about birth and promoting equal access to evidence-based care because it is a human right. If this purpose is one you feel moved by - join me and we'll stand together and act!